Also called Caballo Cimarron & Cimarrones Caballo, the Cimarron Horse is not a specific horse breed, the term cimarron can refer to any domesticated animal that has escaped and become naturalized or feral. These animals are always introduced to an area by humans and they always have domestic animals in their ancestory. Technically any of the animals brought over during the Spanish conquest of the Americas that made their way into the wild are Cimarron animals. That means that the American Mustang is a Cimarron Horse. 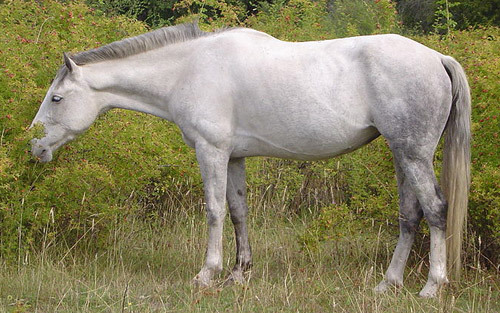 Do you have images or know more about the Cimarron Horse breed? I’d love help completing this page, please contact me to get involved.